This oil is extracted from the Rosewood tree through steam distillation. It has a warm floral and fruity scent. Cleaning + Disinfecting: Add a few drops to cleaning products to inhibit the growth of future bacteria. Skin Care: Add a few drops to unscented beauty and skin care products and rub gently onto affected areas. Love the oil. This brand does seem a little weak compared to others. Love it for relaxation. Unfortunately I just read that the Rosewood treat is now endangered and so wonâ€™t be buying this again or recommending that anyone else does. 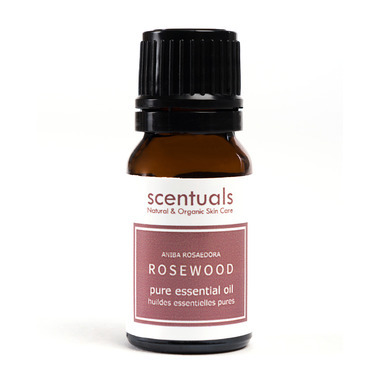 I looked at many places to find rosewood essential oil, and well.ca is the only place I could get it (conveniently). I quite enjoy using it.